Stalam has developed specific Radio Frequency equipment to vulcanise natural latex and SBR foam either inside moulds (mattress cores and pillows) or as a continuous sheet (LPC). The traditional Dunlop vulcanisation process uses steam as the heating mean to activate the cross-linking reactions of polymer chains. 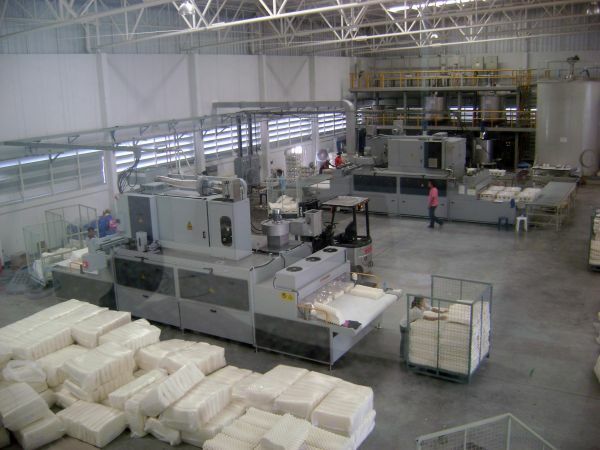 Foam, having plenty of tiny air bubbles within, is by nature a poor thermal conductor and therefore letting heat soak into thick mattress core or pillow moulds is a slow and inefficient process. Costly and heavy metal moulds fitted with a large number of metal pins are actually used in the attempt to speed up the process, but it still remains time- and energy-consuming. Radio Frequency can be instantly absorbed in the appropriate quantity by the large amount of water contained in the foam, uniformly throughout its volume. Thus, heating of the foam and its full vulcanisation just take a few minutes, in the centre as on the surface. 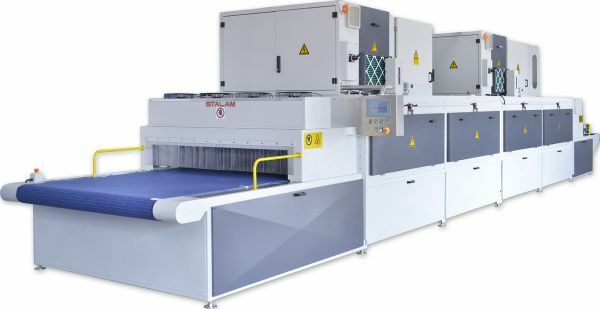 The RF vulcanisation equipment are therefore much smaller (shorter) compared to the conventional carousels or tunnels working with steam having the same hourly throughput, and the energy consumption can be cut by 50% (this value can be adequately documented). 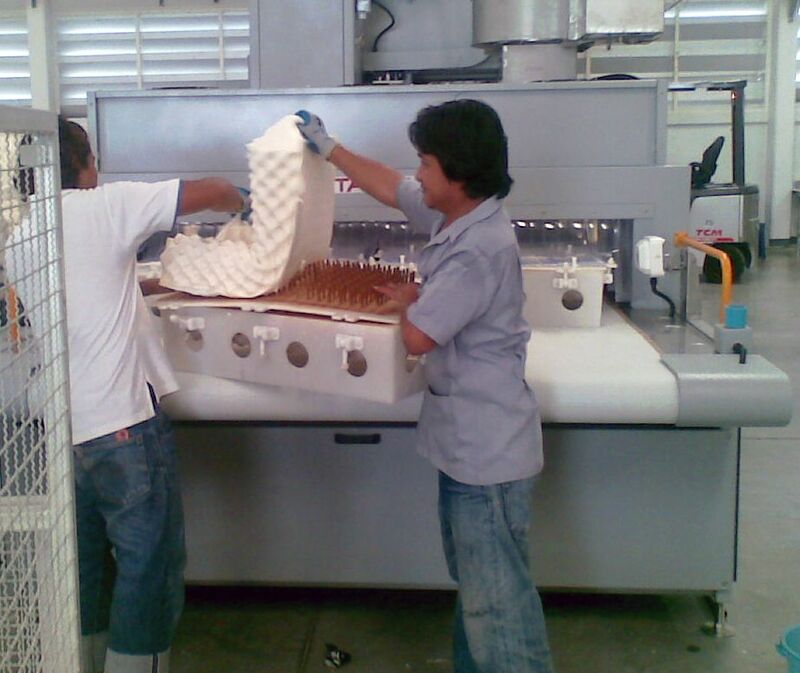 Moulds are made of light and inexpensive composite materials that allow weight reduction of over 60% compared to traditional metal moulds: the reduced mould mass contributes significantly to the lower energy consumption. 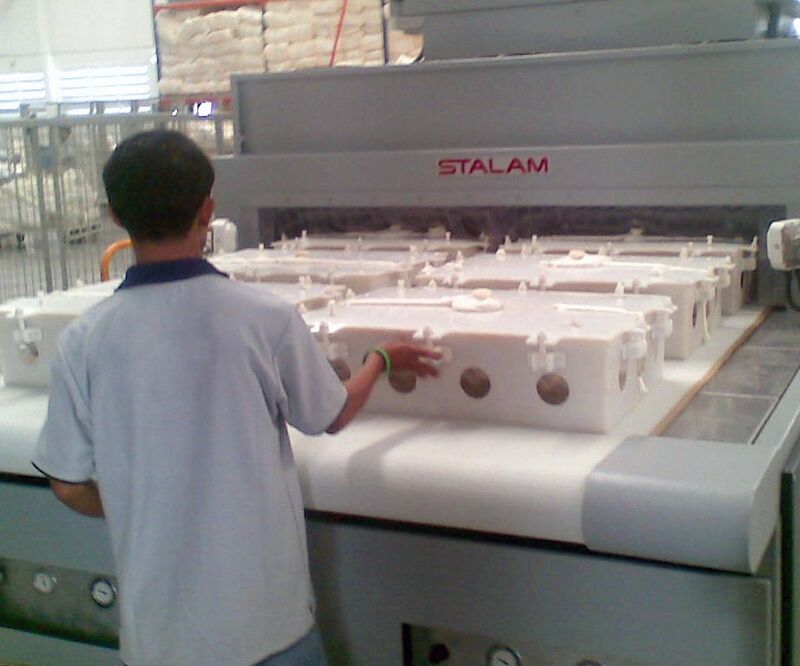 Moreover, mould materials developed by Stalam in cooperation with specialising suppliers, allow for an easy and quick stripping of the vulcanised product. Last but not least, mould design is more flexible, not being bound to the presence of pins. Full latex foam production lines complete with ancillary equipment and automation, as well as consultancy on latex technology to achieve the best quality and develop customised products by exploiting the benefits and versatility of the RF equipment, can be provided by Stalam in cooperation with its specialising partners.